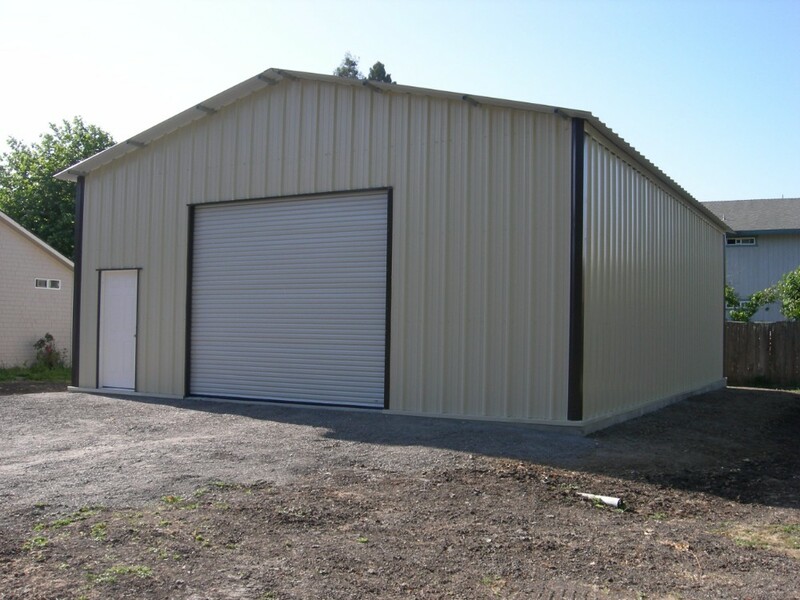 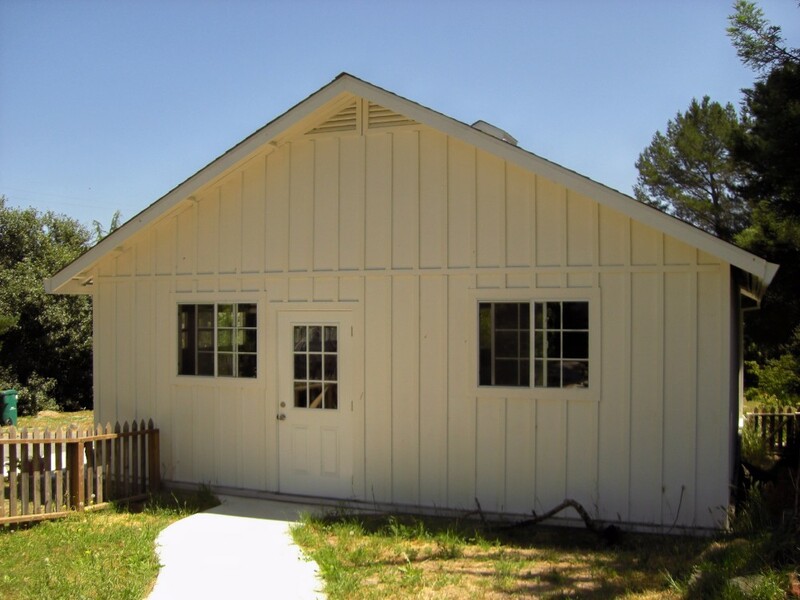 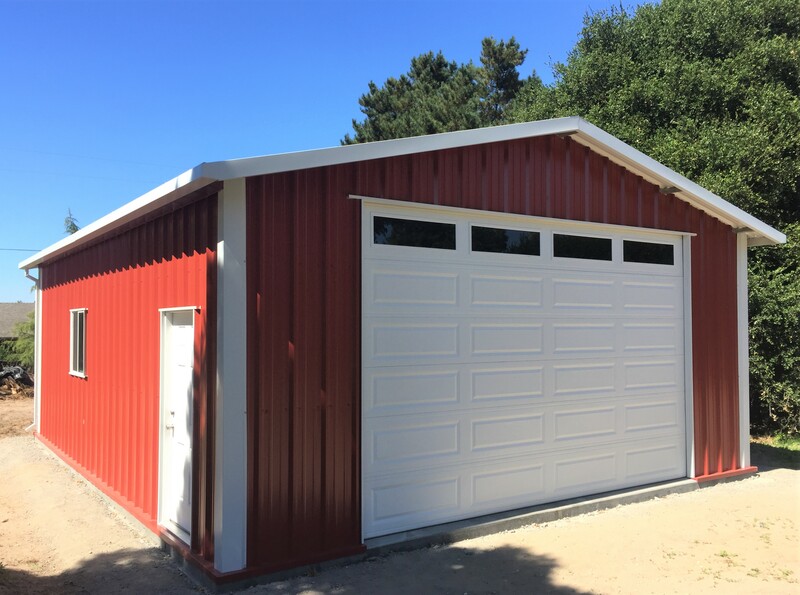 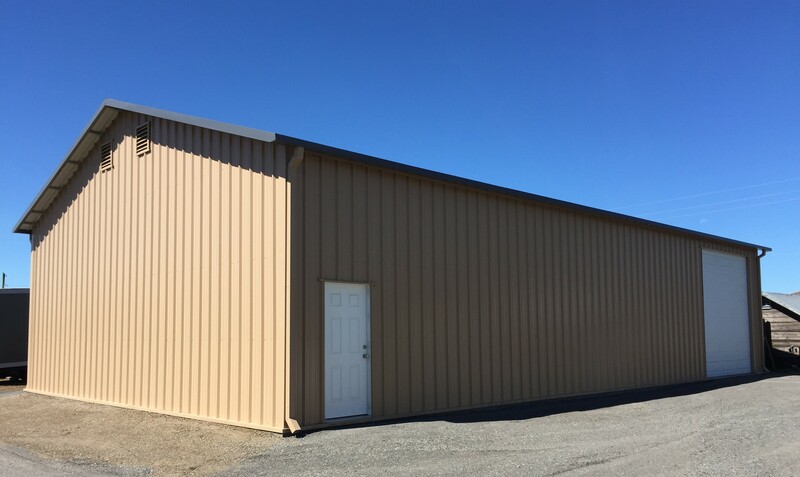 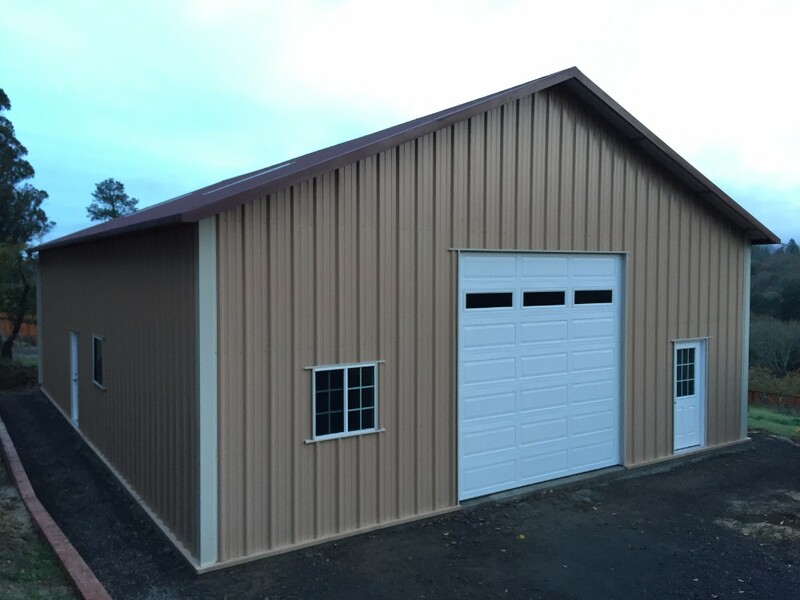 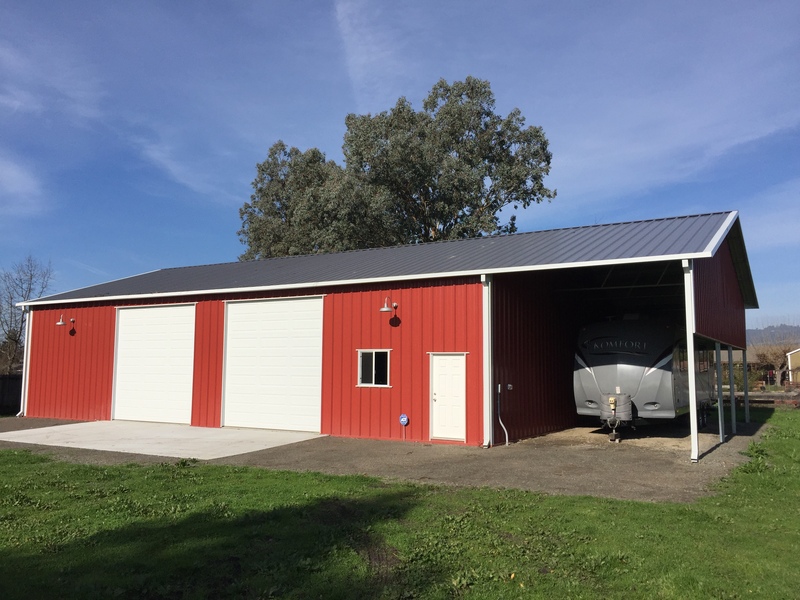 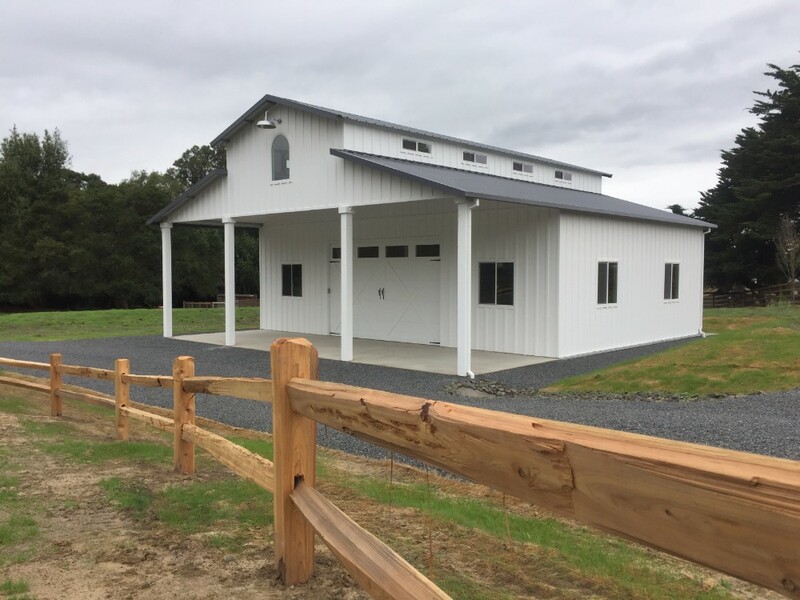 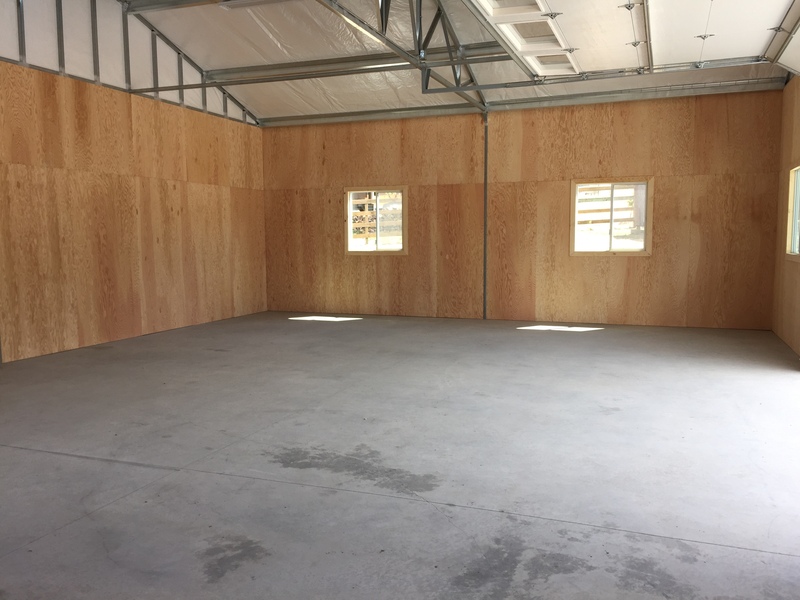 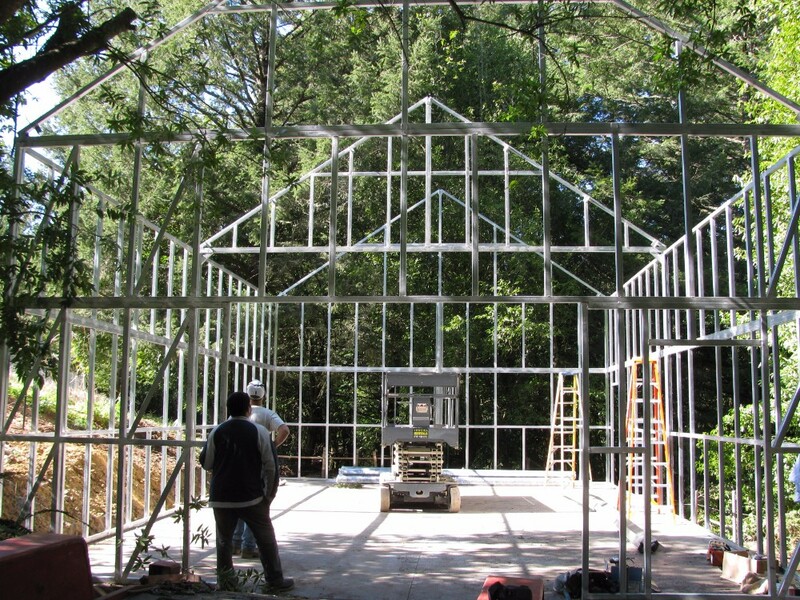 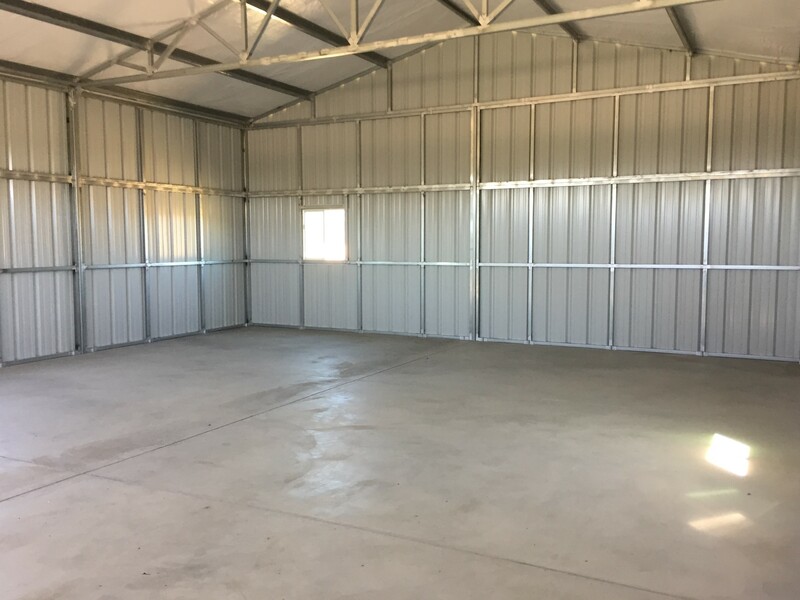 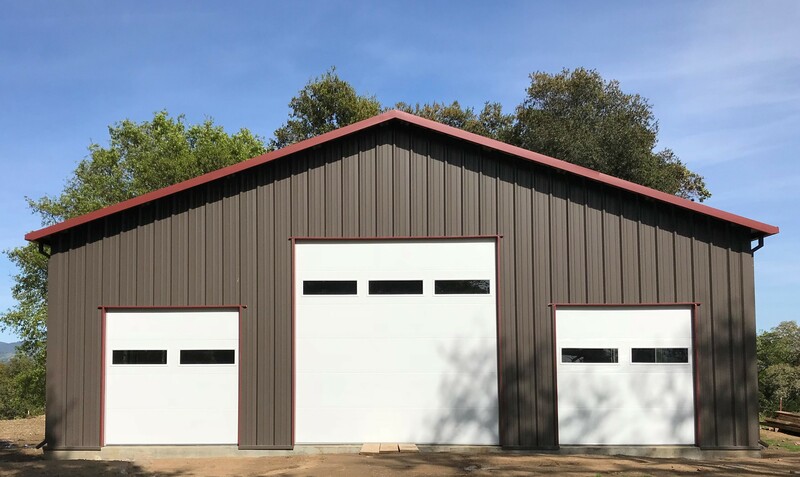 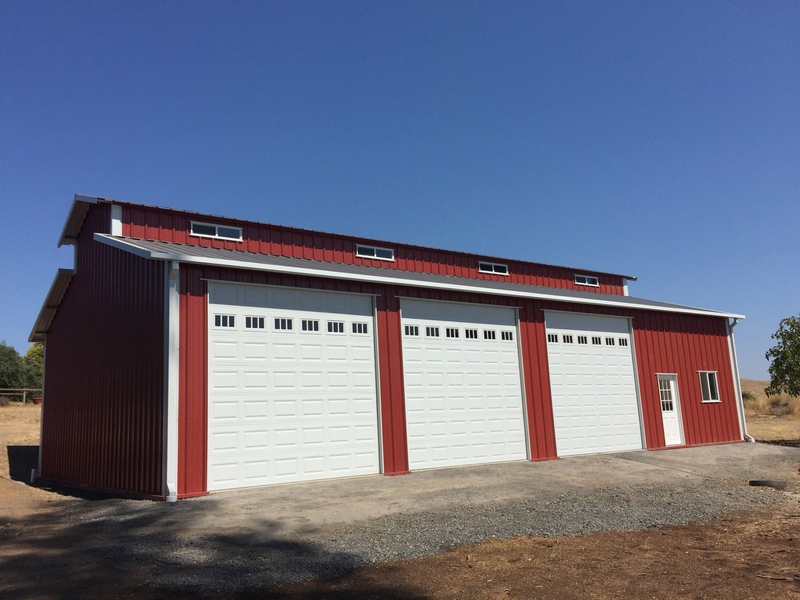 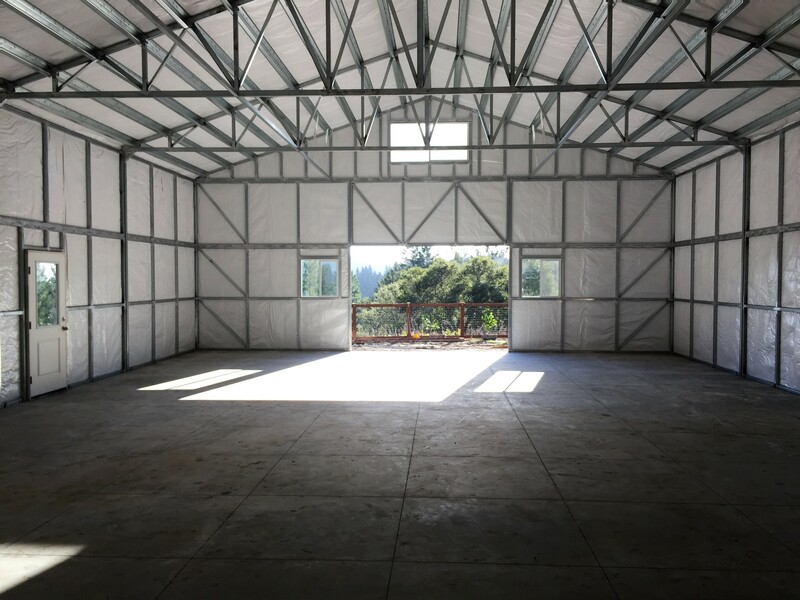 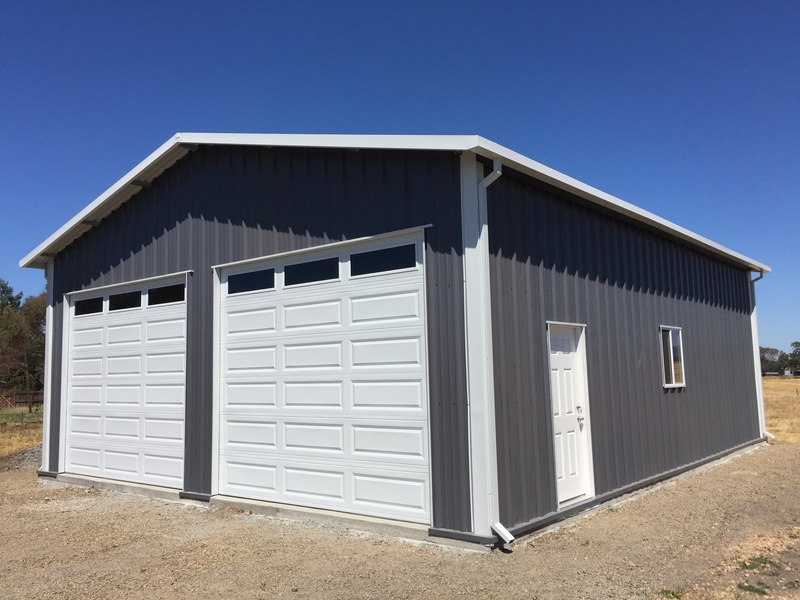 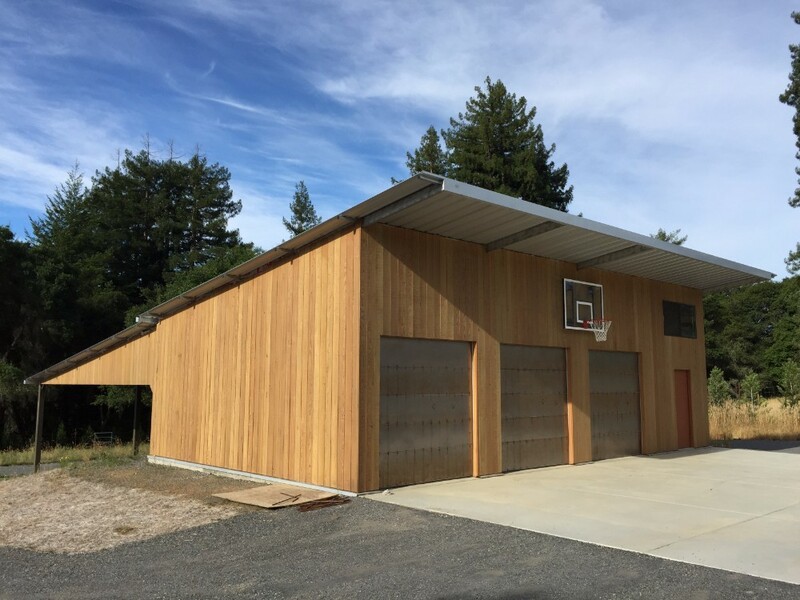 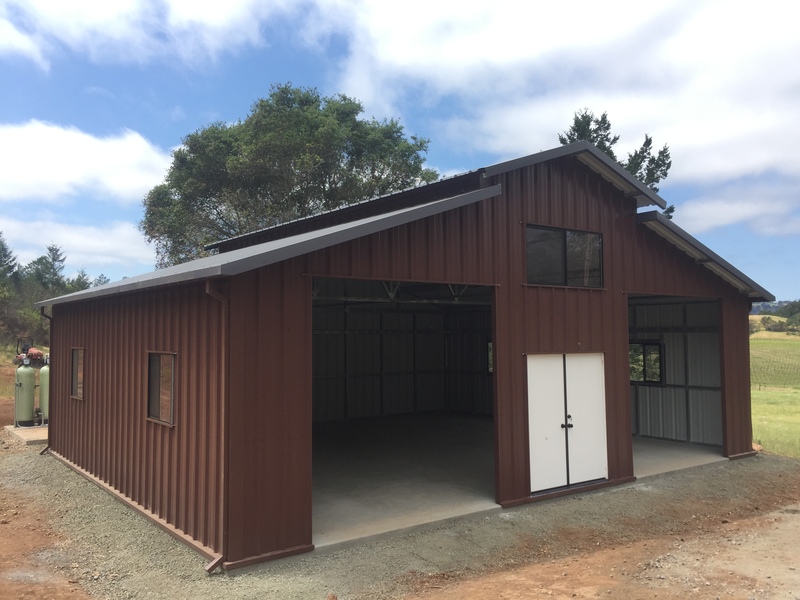 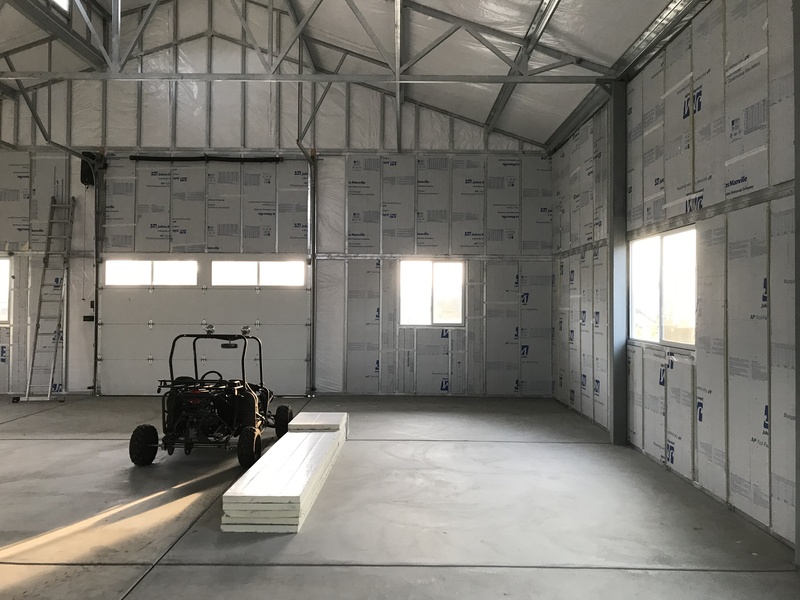 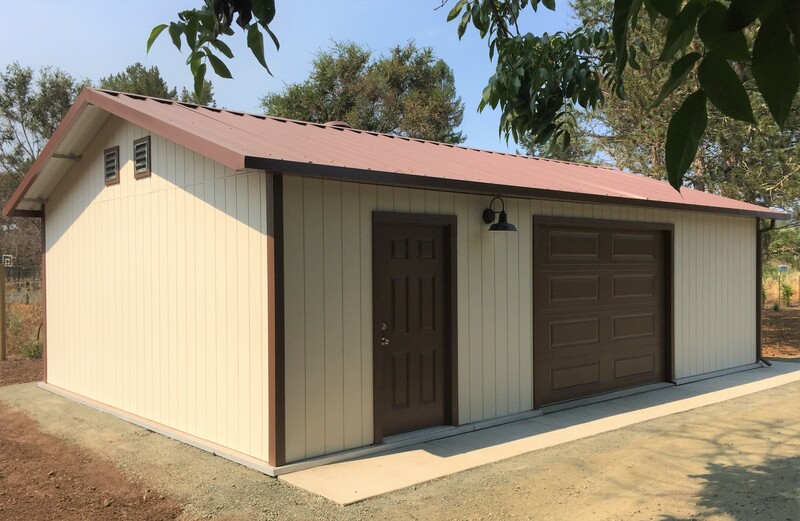 The strength of SC Barns is incorporated into the walls which maximize usable building space without sacrificing integrity. 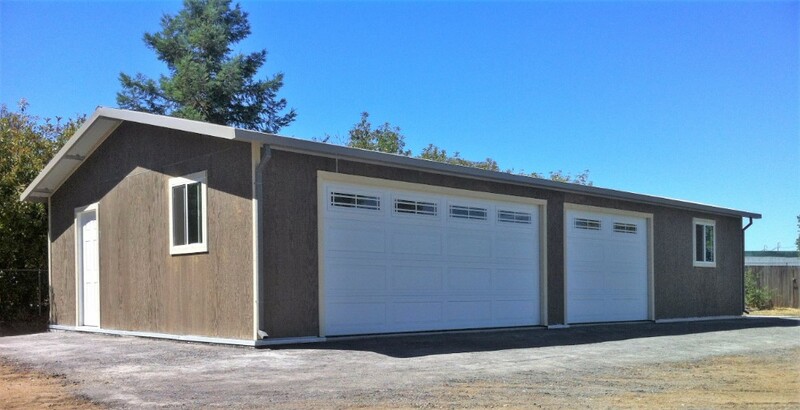 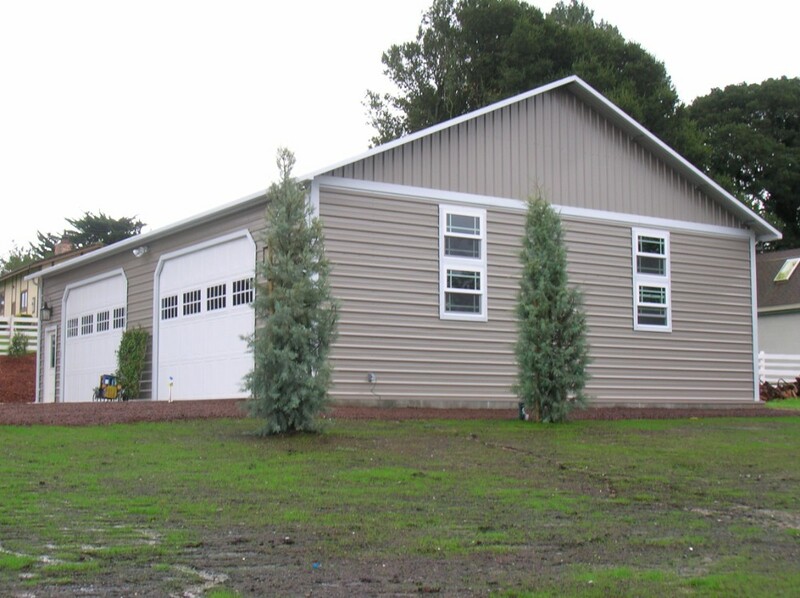 The panelized wall system will accept any type of siding including; maintenance free metal, T1-11, and Board and Batton. 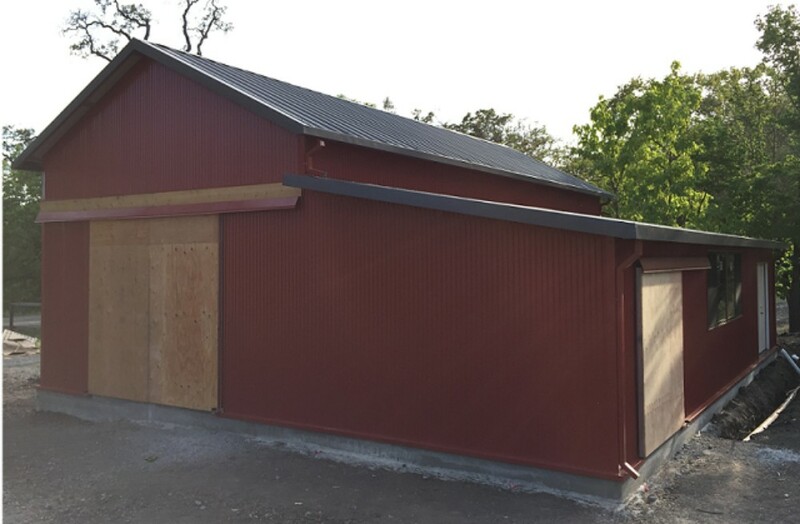 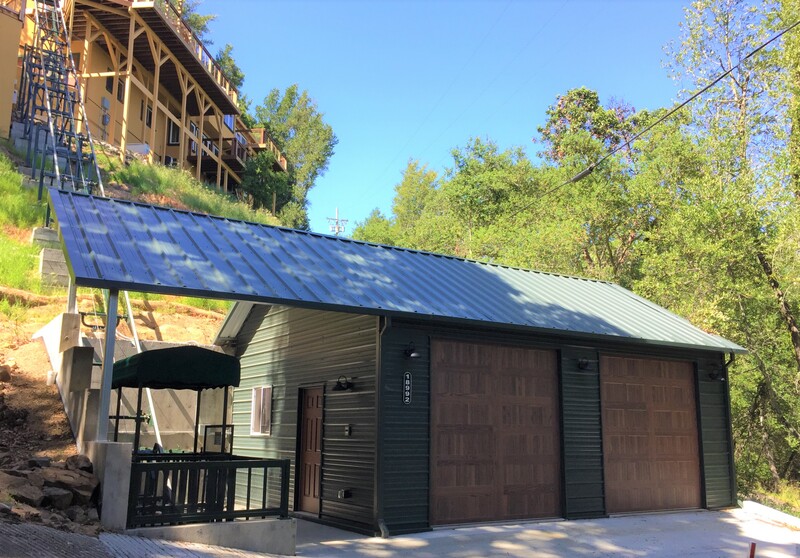 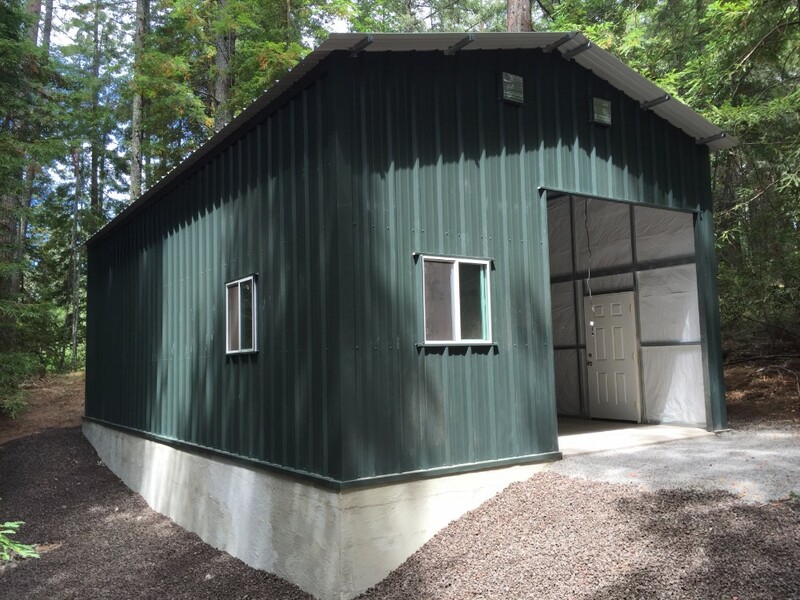 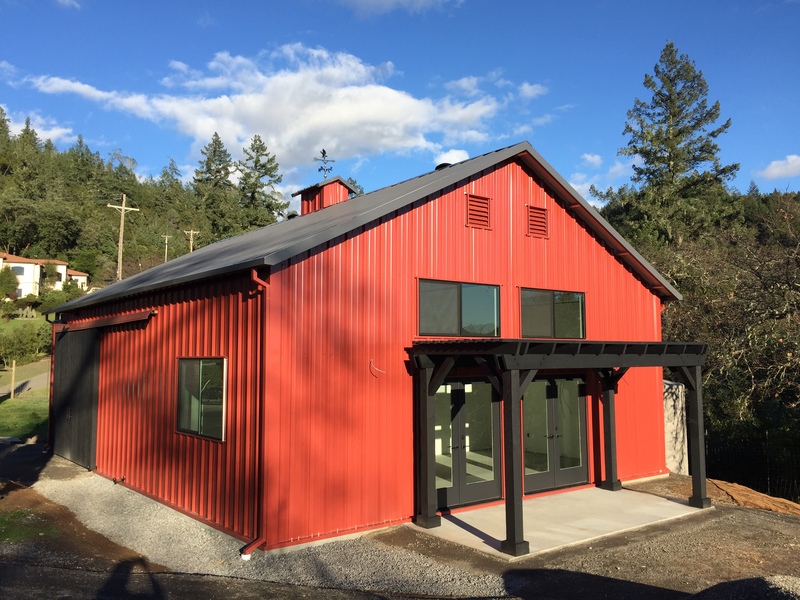 Our galvanized steel roofing system is engineered to provide strength and longevity which outlasts wood rafter systems. 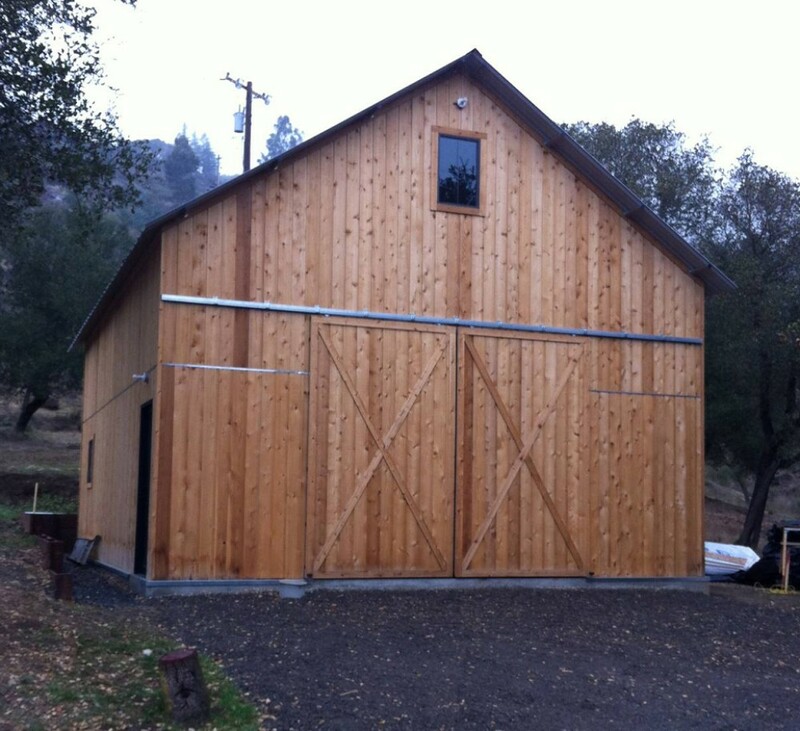 The steel is fire resistant and provides protection from wood eating insects and rotting. 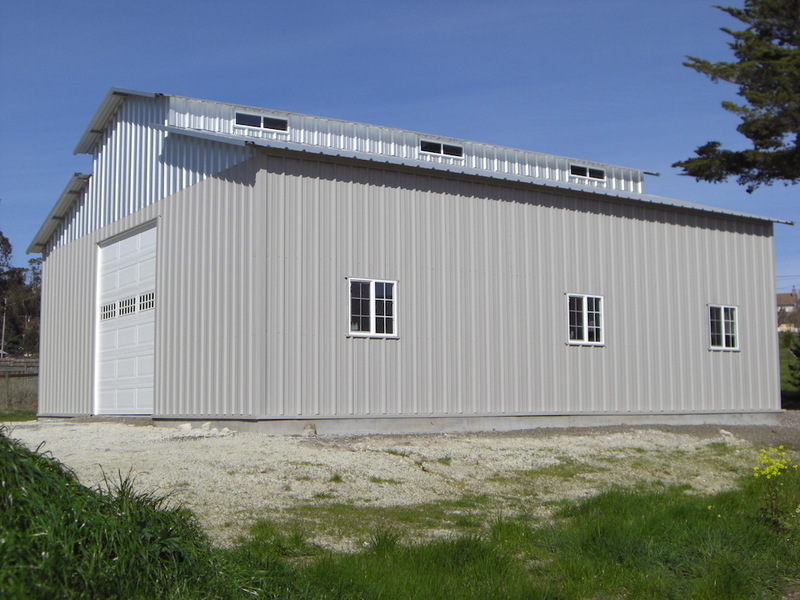 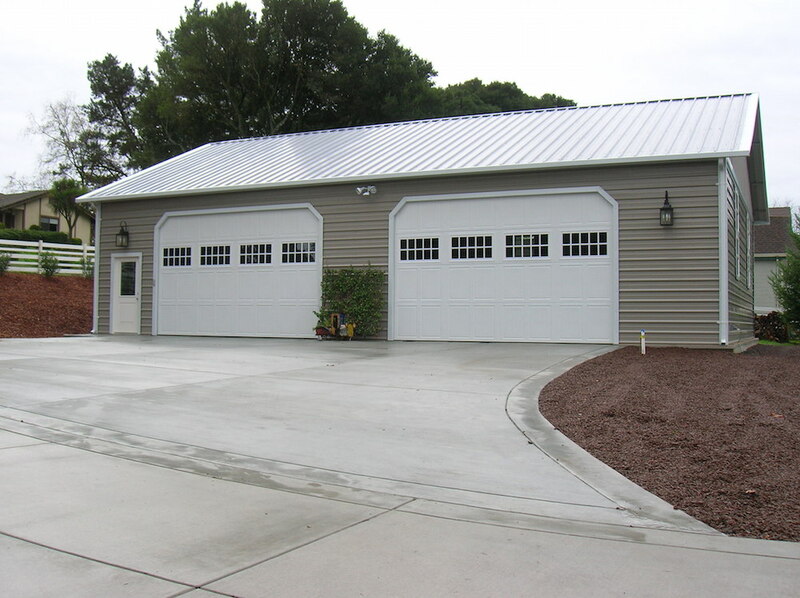 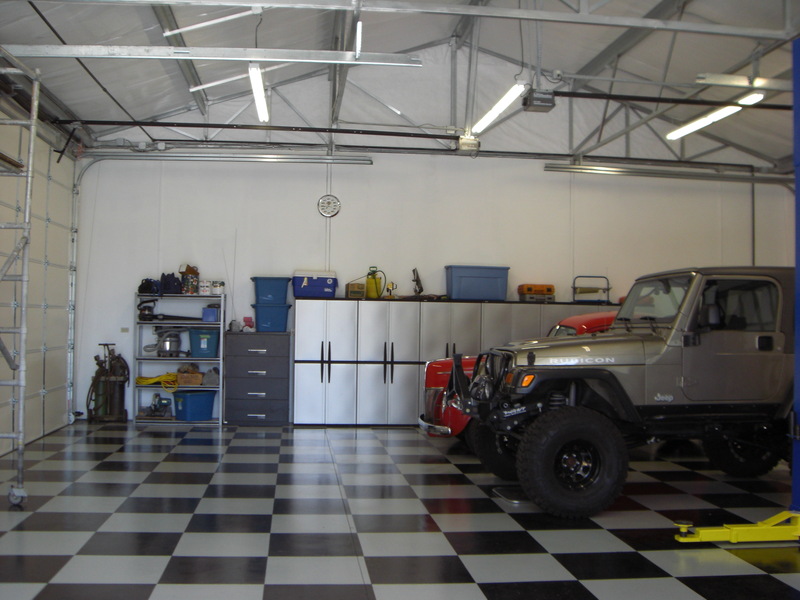 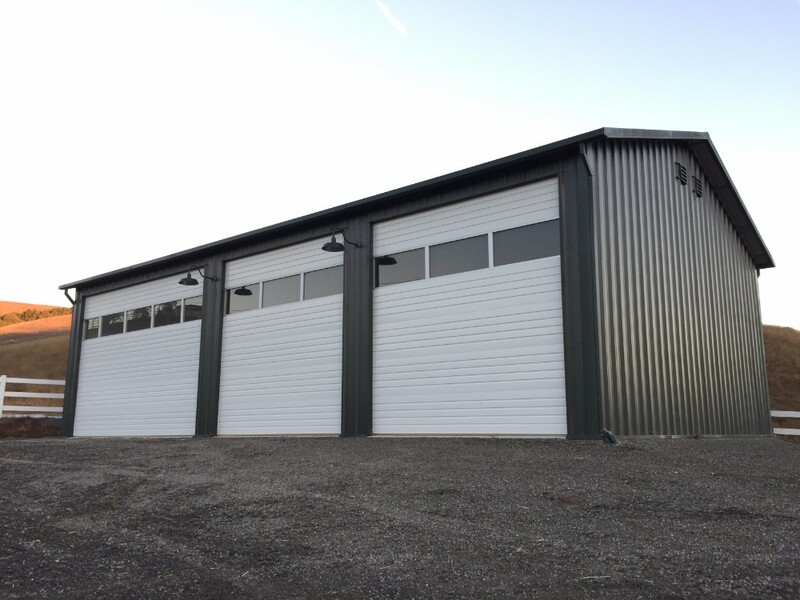 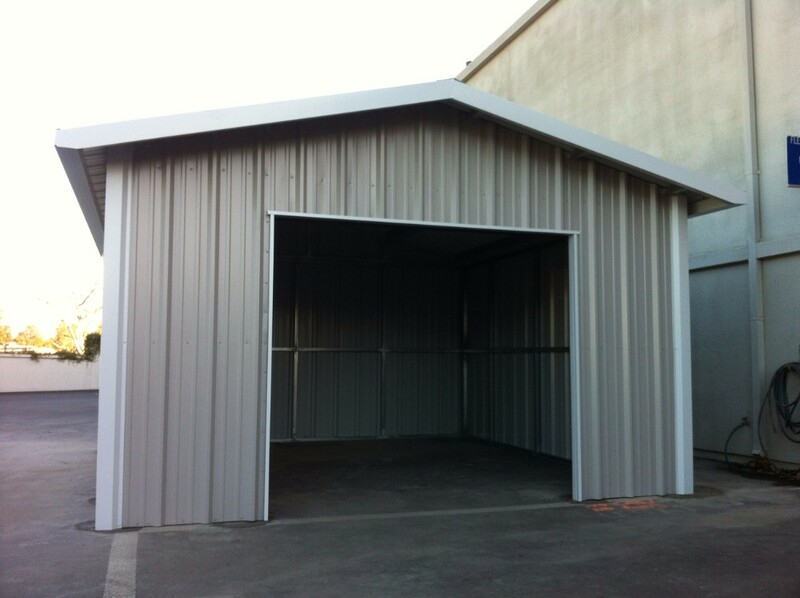 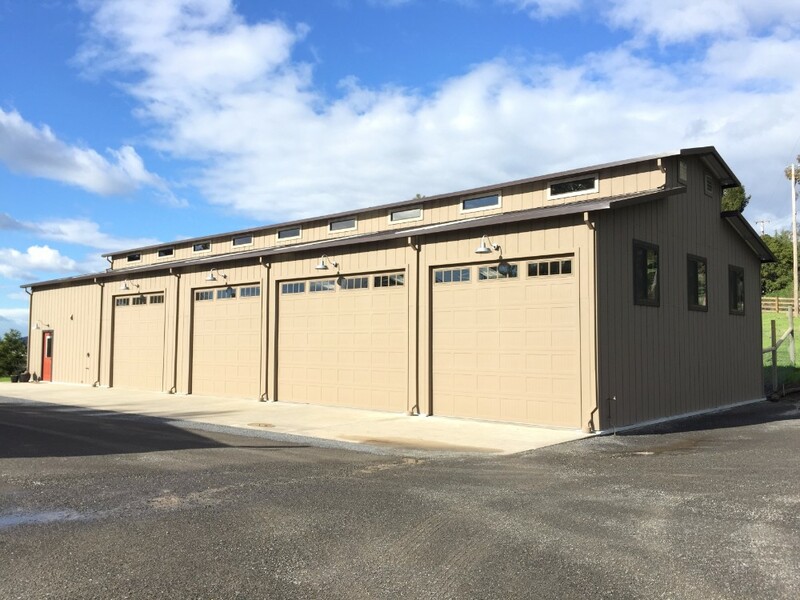 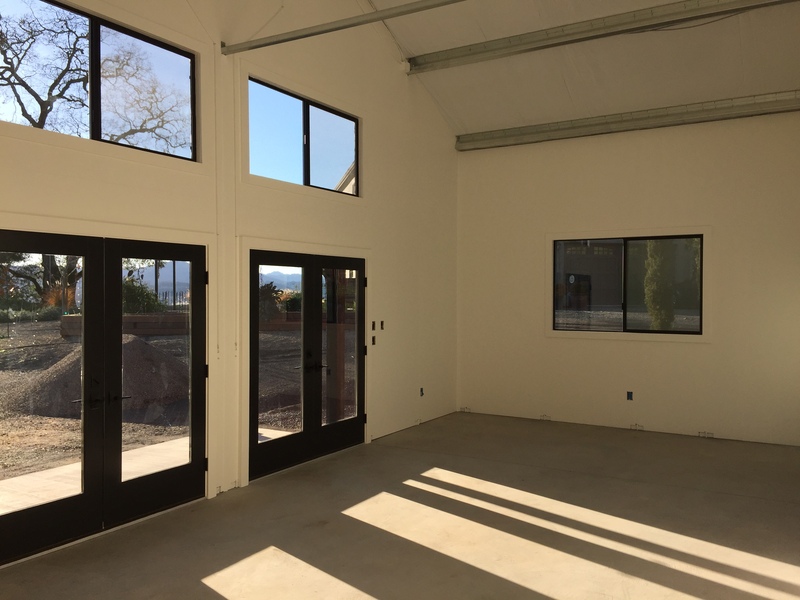 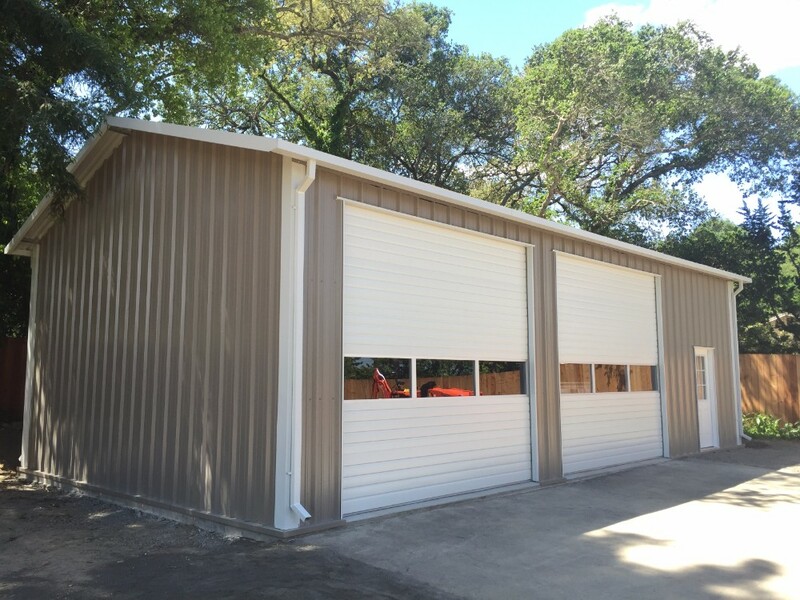 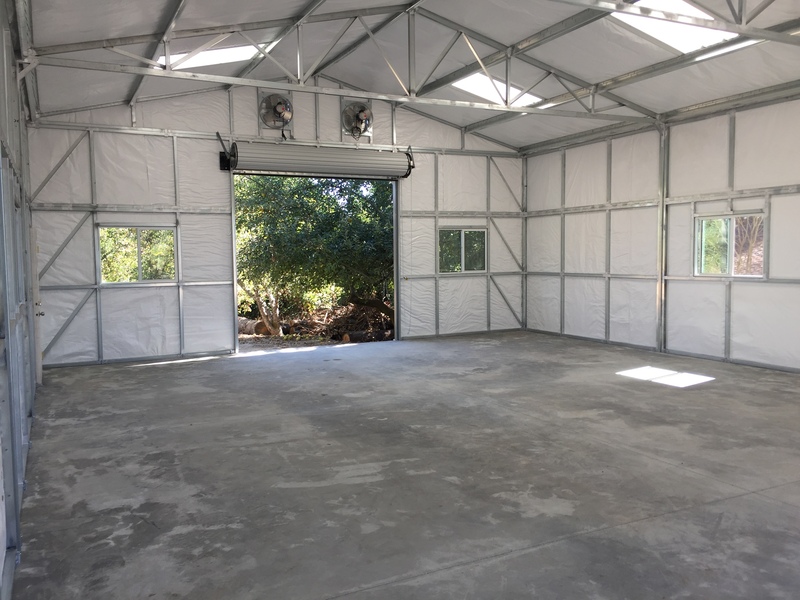 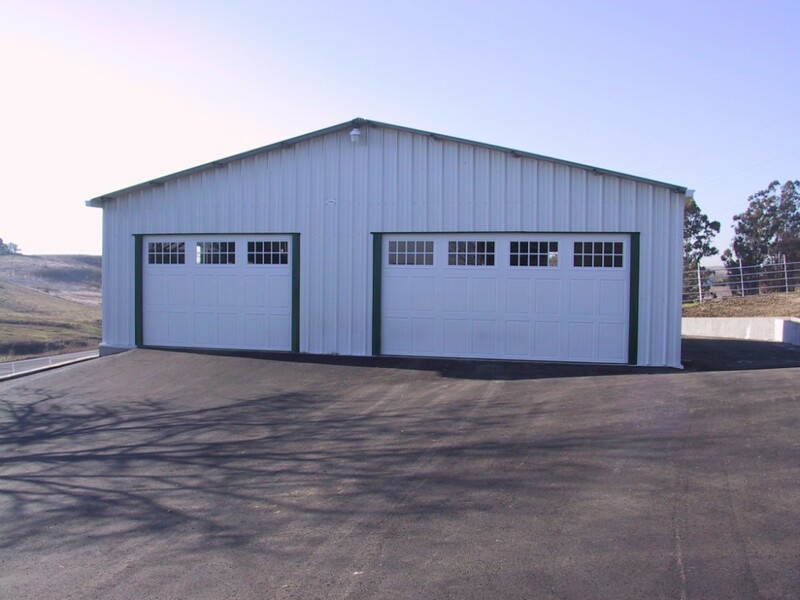 Each Building is individually built to meet your needs and all applicable building codes. 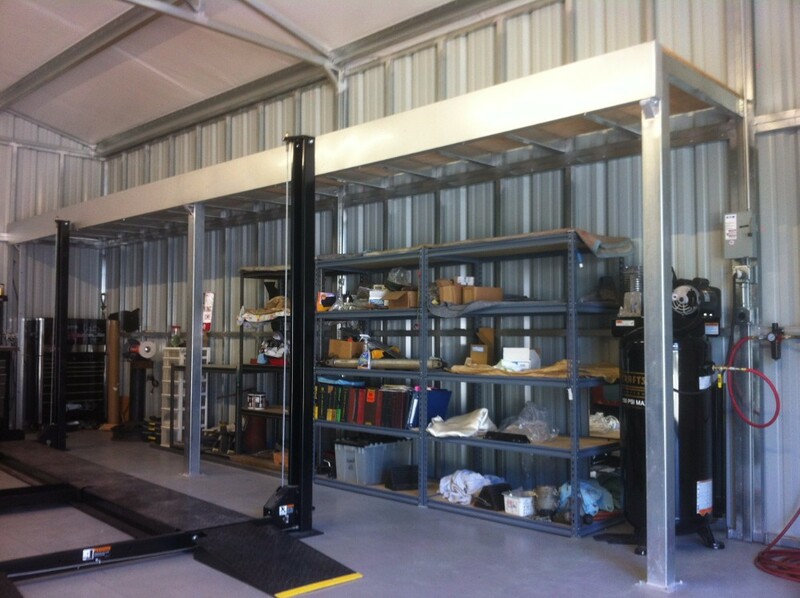 Two Car Garage with Side Overhang for Tram. 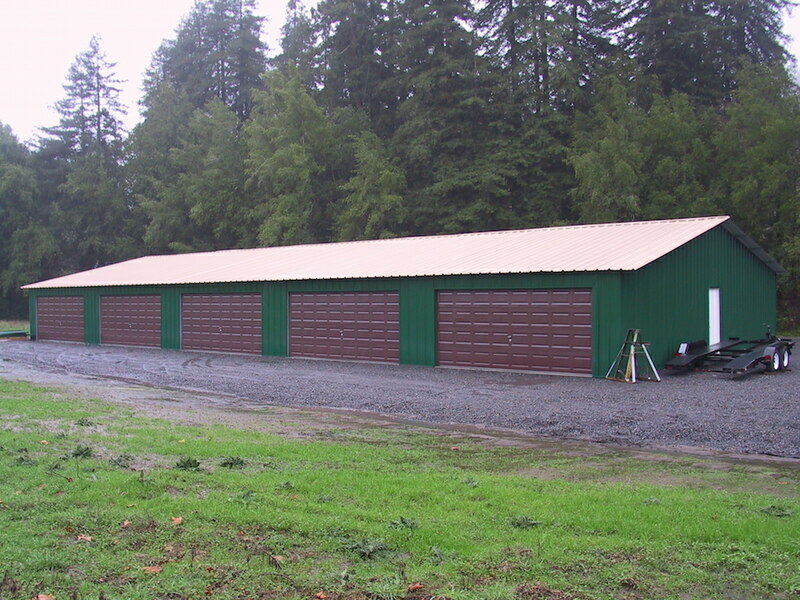 Fern Green Metal Siding. 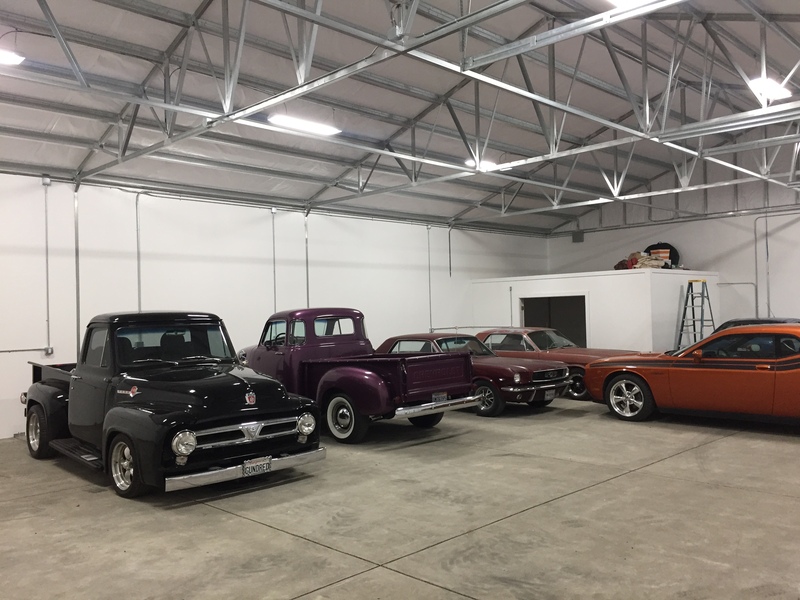 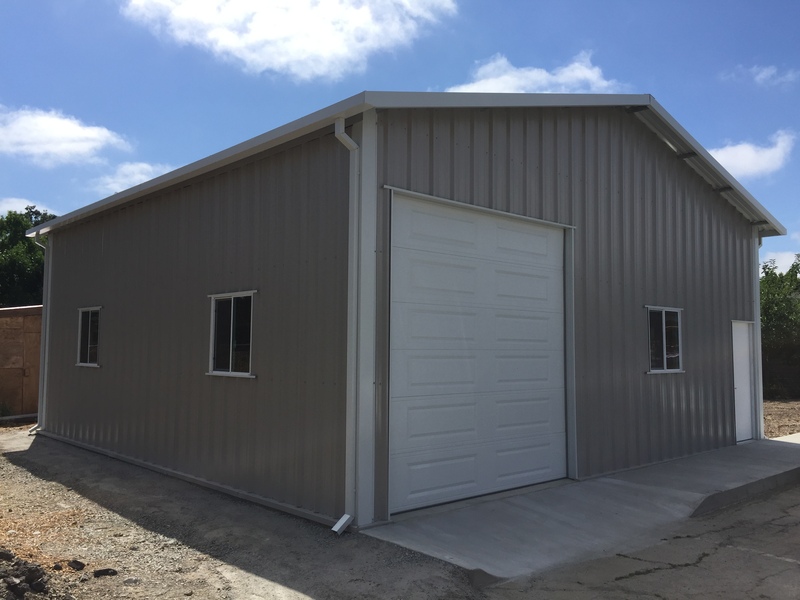 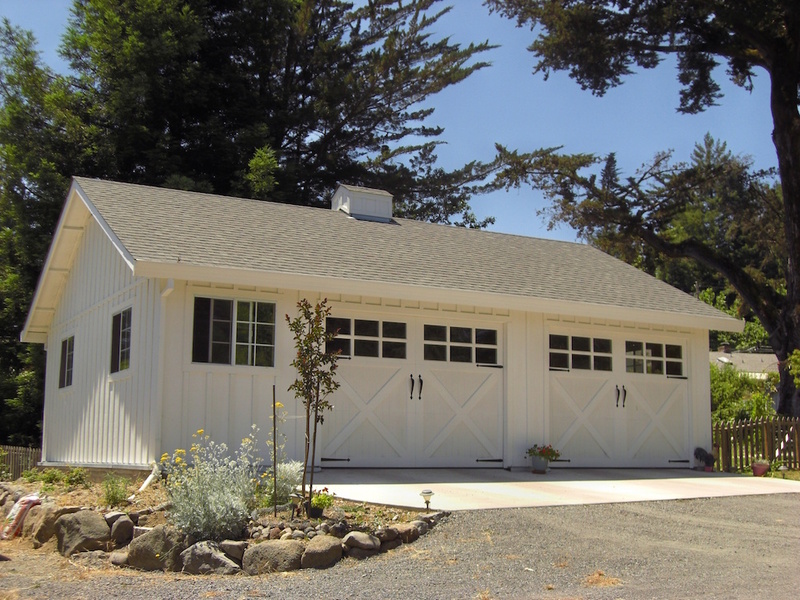 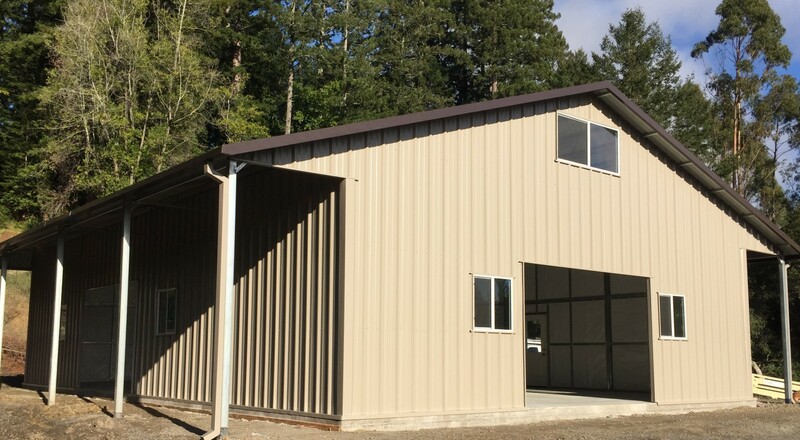 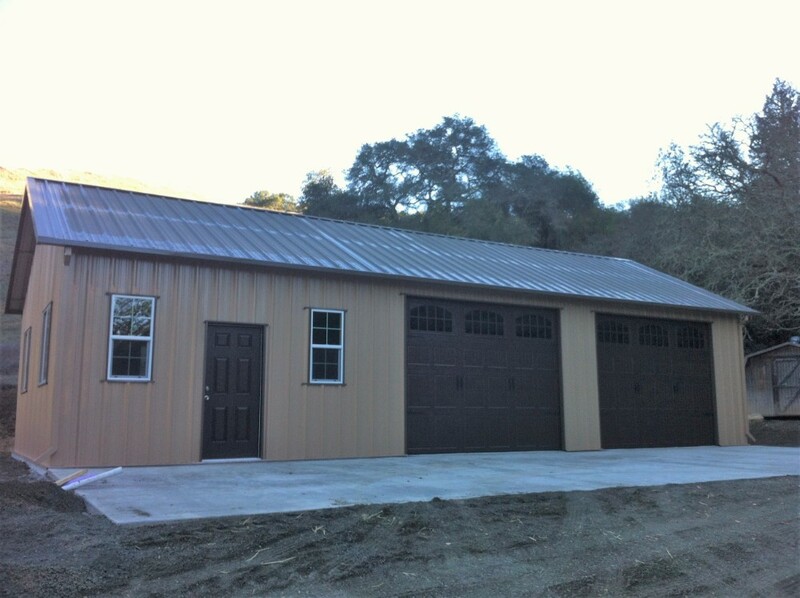 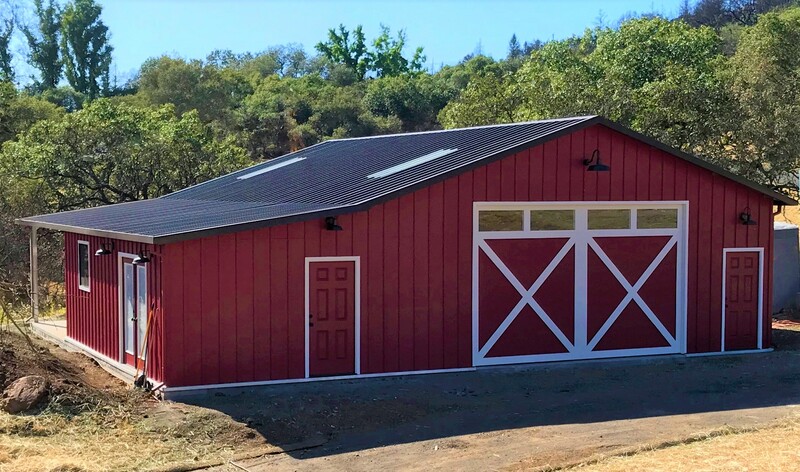 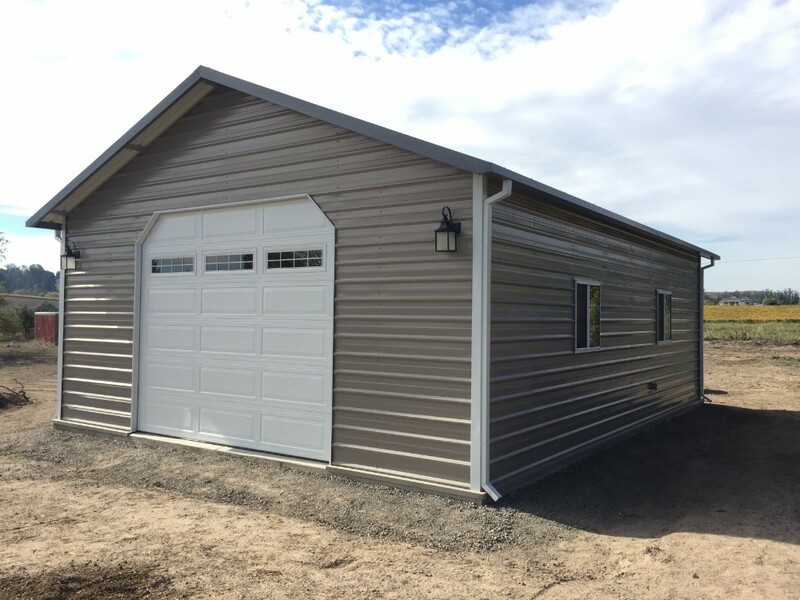 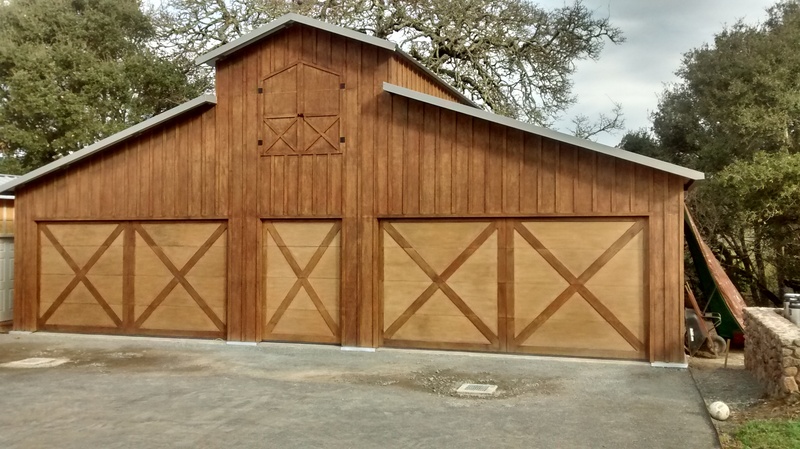 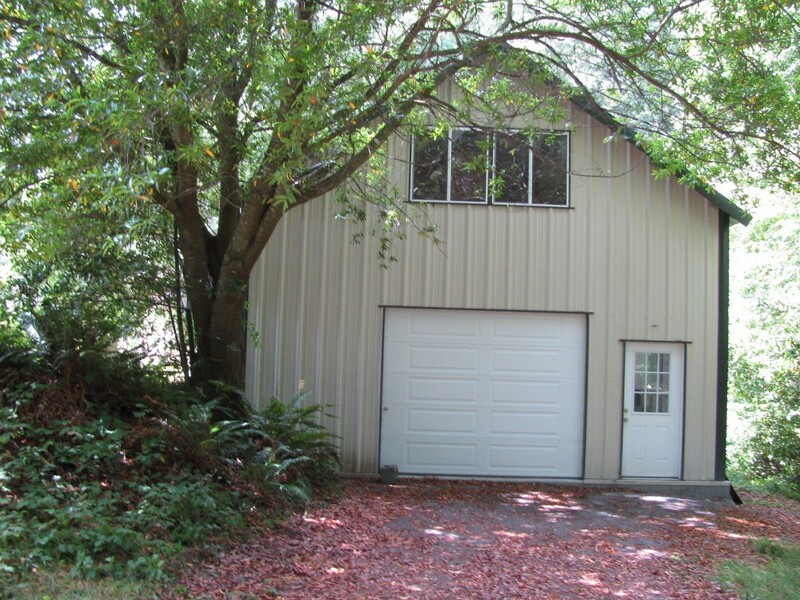 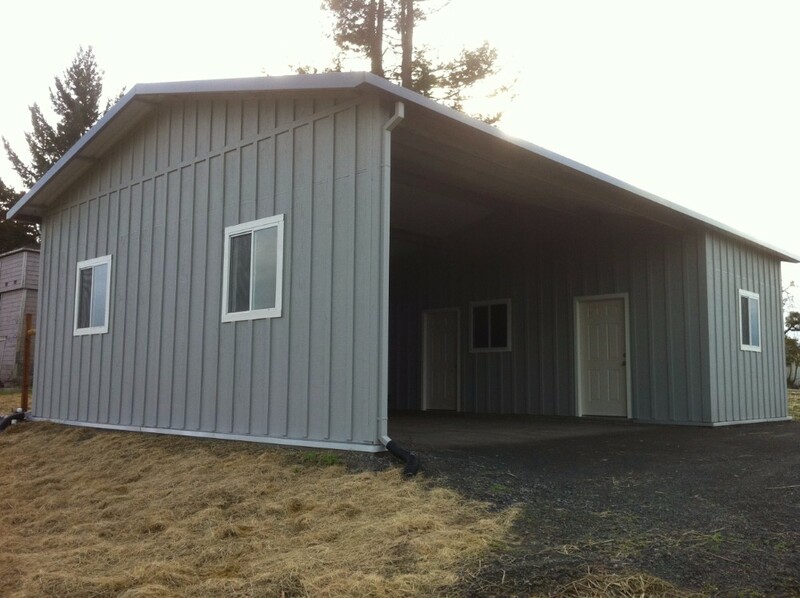 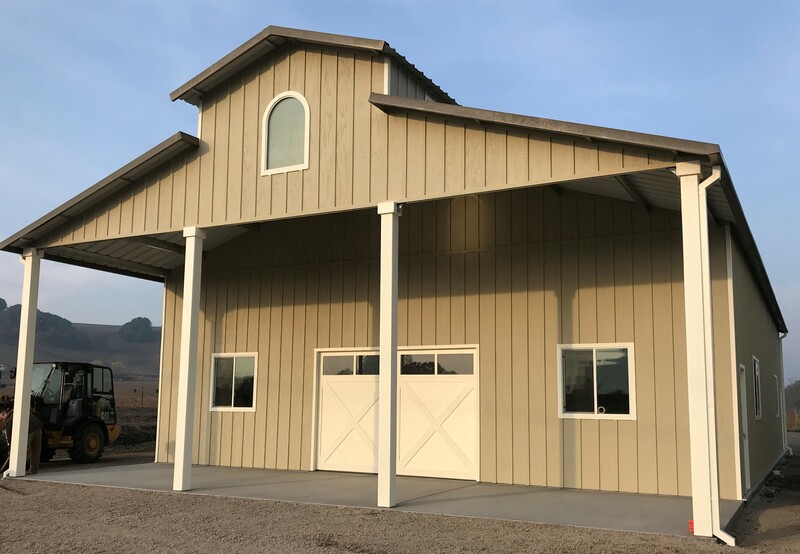 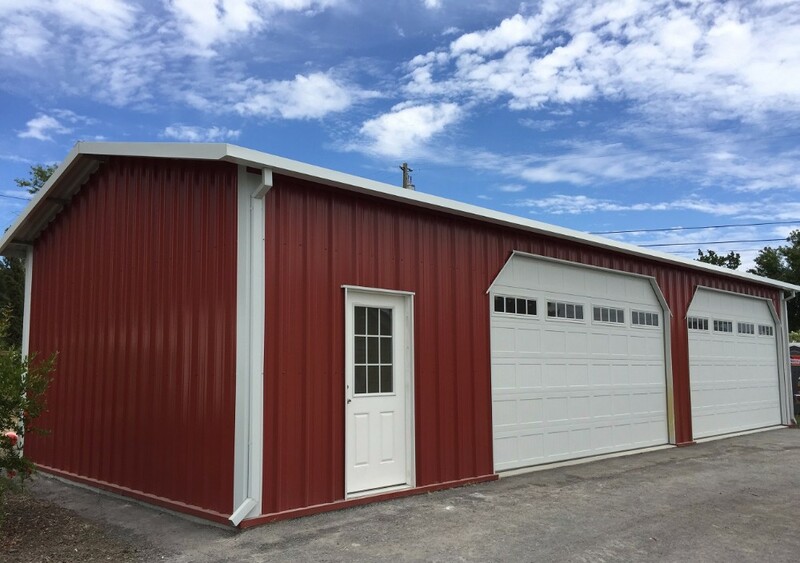 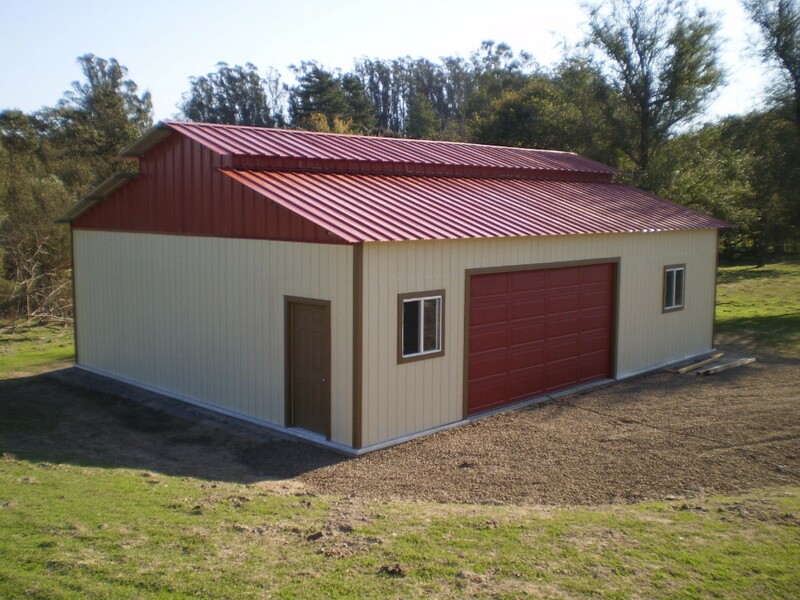 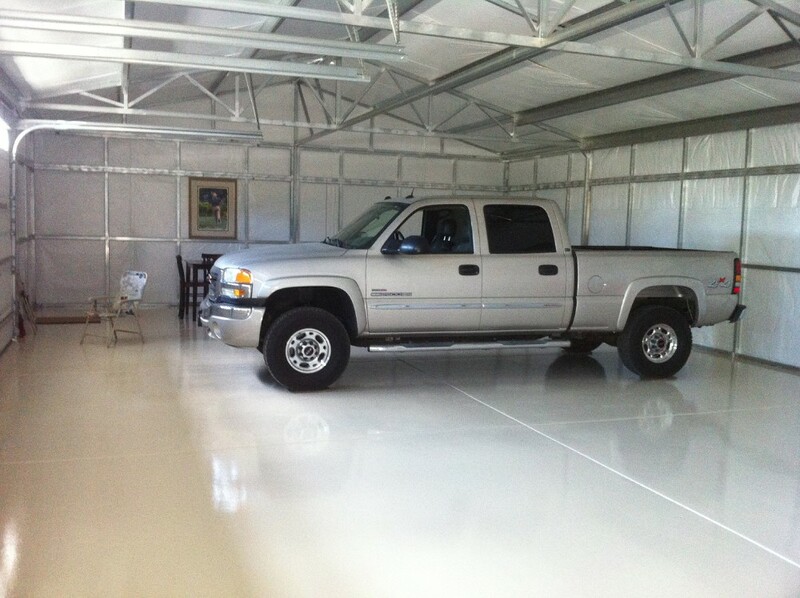 36' x 30' Barn Style Garage. 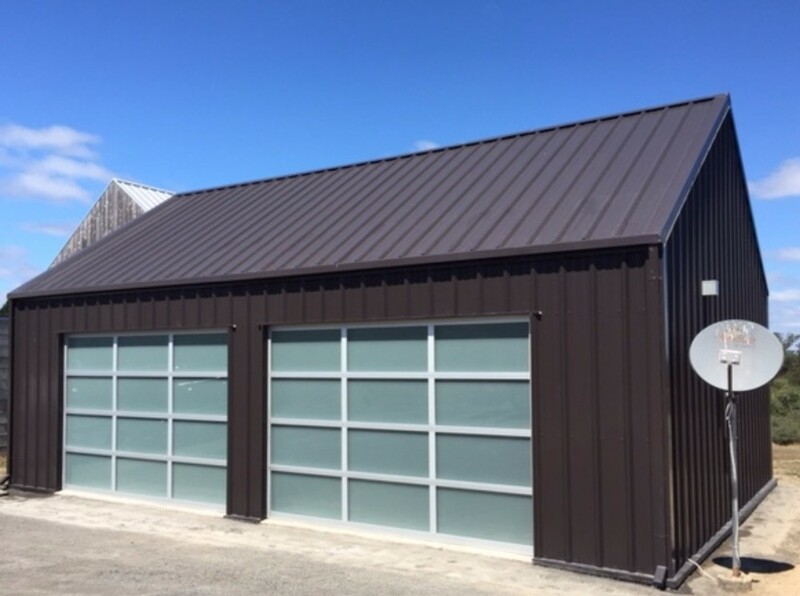 Brown Metal Siding.